“Does the rain make my windows dirty?” A question you a smart to ask! Rain does not make the windows dirty, dirt does. 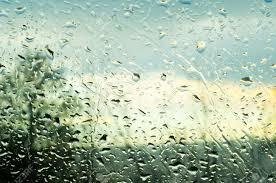 IN FACT: Rain is cleaner than the tap water we use to wash your windows! Dust accumulates on the outside of the glass from lawn mowers, leaf blowers, tree pollen, car exhaust and many other sources. This dust settles as a uniform layer on the glass. When it rains, the rain drops push the dust into different patterns and after the water dries the dust remains on the glass. This new “mud residue” is now highly visible because it is no longer thinly spread but is sporadic throughout the pane. Clean glass will stay clean after a rain because once the rain water dries, there is nothing left behind to obscure the view if we did our job properly. At Sparkall Window Cleaners offers a 14-day Rain Guarantee so that you can sleep in peace knowing your windows will stay clean. If they do not stay clean after rain shortly after our cleaning, we didn’t do our job right! What if a dust storm comes or pollen settles on my windows and then it rains within 14 days of your cleaning? Even though we may have done our job perfectly and the dust or pollen gets on your glass AFTER our window cleaning, we’ve got you covered. We take the risk, not you. That is the Sparkall Difference!